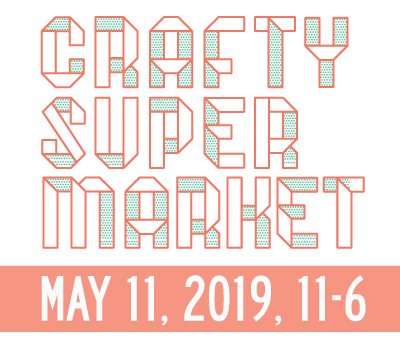 show information | crafty supermarket! Let’s get real, we just have this show so we can invite our favorite food vendors over for a picnic! We have everything you need to fuel your handmade shopping day on Saturday, April 29 at the Clifton Cultural Arts Center. Holy tired Batman! We are still recovering from an awesome show but we wanted to say THANK YOU to everyone who made our holiday edition of Crafty Supermarket a success. Here goes! First thanks to so many shoppers who braved the cold and followed us to a new location! We saw so many familiar faces and met many new fans. We’d love to know how you liked the new venue — if you can spare a minute, please fill out our shopper survey! Thanks you to our 130 indie craft vendors. The talent packed in that room was so inspiring! We had many local favorites and lots of out of town vendors who made the trip to our awesome city. Thanks for choosing us! To our trusty DJ Ben Davis who always plays just the right tunes for shopping, we love you. We totes loved our new tote designed by Jodi Lynn’s Emporium of Doodles and carefully printed by one of our AWESOME sponsors DIY Printing. Thank you both for being rad. We couldn’t survive without our food vendors! Thanks to Dojo Gelato, Macaron Bar, Frittle Candy, La Terza Coffee, Red Sesame Korean BBQ, Street Chef Brigade, Fireside Pizza, and Best Thing Smokin’. Thank you to our sponsors for supporting this show and believing in the maker movement. All of our sponsors are pretty amazing businesses who help make our city great! Thanks for what you do and for helping us do our thang. We also had tons of help from our volunteers. Thank you for carrying, shopping, refilling water bottles, relieving vendors, eating, dancing, and smiling! We couldn’t do this without you. Special thanks to Kate, Lauren, and Stephanie who were there with us all day. Thanks to UC Rec Center for taking a chance on our crazy show! Last of all let’s all give a special thanks to Grace Dobush (AKA Gayle) for all of the blood, sweat, and tears that she’s poured into Crafty Supermarket over the past 7 years. She is the best partner in crime and things are not going to be the same without her but I (Chris) will do the best I can to carry on this awesome torch. There will definitely be typos in future programs without her watchful eye, very awkward television appearances and more! Grace is moving to Germany in March so if you see her around town, give her a hug, wish her well but also make her feel guilty as hell. :) Here’s a picture of us at dinner after the show feeling delirious. Don’t forget to mark your calendars for April 29, 2017! 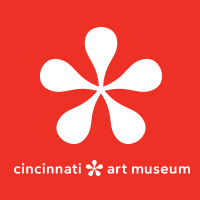 We’ll be back at the Clifton Cultural Arts Center for our spring show just in time for Mother’s Day shopping. Vendor applications will open mid-January so stay tuned. 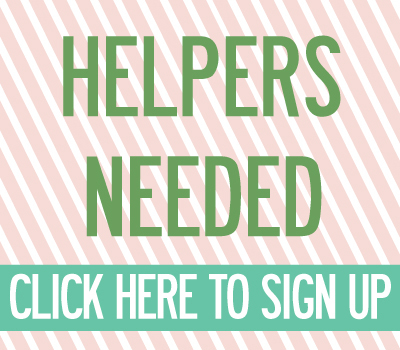 Sign up for our mailing list if you want regular updates. We won’t spam you, promise!